Spivi® Studio is an innovative 3D simulator system made for indoor cycling studios and fitness clubs who want to increase revenue and recruit more customers. 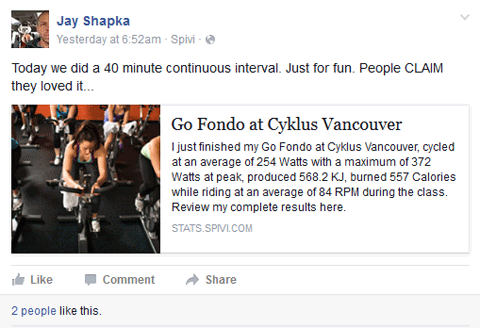 Spivi® turns traditional indoor cycling sessions into a fun and thrilling experience. Group activity is monitored in real time by Spivi’s core engine which uses it to simulate outdoor riding experience projected on screen. 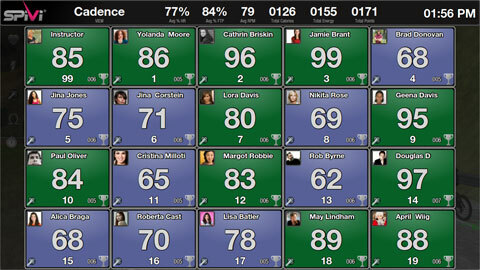 Members can see their personal avatars on screen, track their training goals and gain better results over time. The scenery pushes people to their limits, increases motivation and makes them come back for more classes. Let your members see the training program! 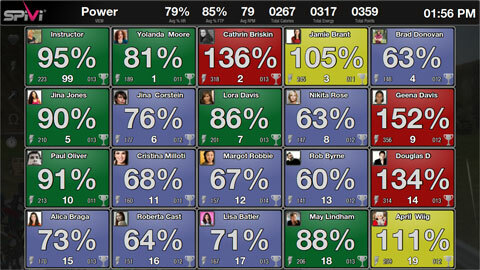 With Spivi® Studio instructors can visualize any aspect of their training program on the fly. They can generate steep hills combined with low RPM for power buildup sections, change to light incline terrain for fat burn segments or create downhill with high RPM for short sprints. 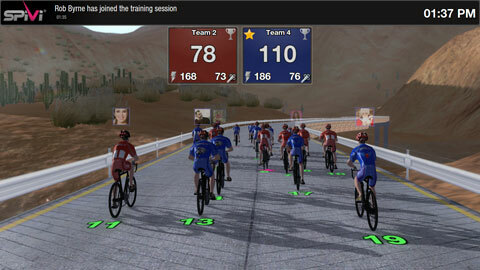 The Riding Zone provides intuitive way to keep members follow the training goals. 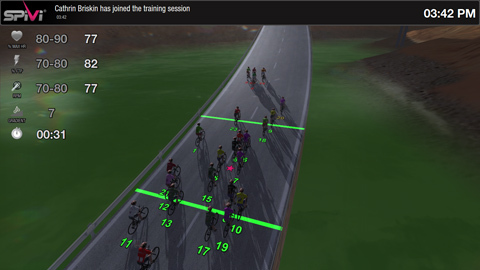 When the Riding Zone is displayed, members can simply see where they have to ride in order to stay within the range of the training program goals. 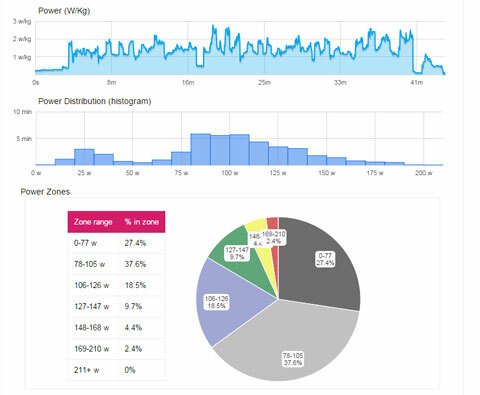 Spivi® collects data from sensors on all bikes in the studio, combines them with the customers’ personal information and privacy settings preferences, and generates live performance feedback. 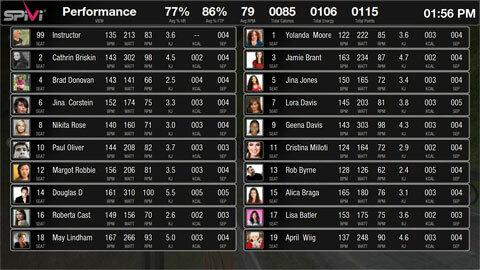 Attributes such as Heart-Rate, Power, Cadence, Speed, Distance, Energy, Burned calories and more are available. Dozens of virtual 3D tracks, different camera angles, live road manipulation, dynamic scene lighting control, real time group activity and much more, all assure you’ll never get bored again while exercising! 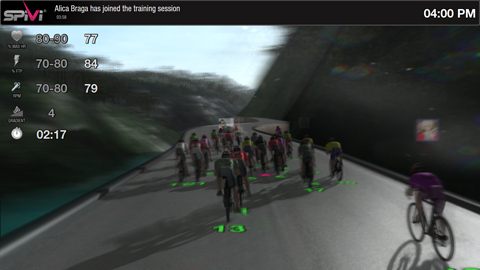 As part of the subscription plan you get new graphical tracks and new training programs on a regular basis! Read more about the Team Mode. 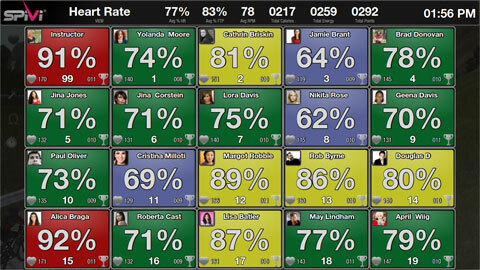 Just like with power, Spivi® offers a dedicated view for Heart Rate. Plenty of ready to exercise programs are waiting for you. We have worked with professional indoor cycling instructors and with Ronnie Yoffe, a SPINNING® Master Instructor to bring you the most professional workouts out there. Ronnie is a certified fitness instructor through the Kenneth Cooper Institute and AFAA. She also holds certificates from the UCLA Kinesiology program and the Wingate institute Physical Education School. 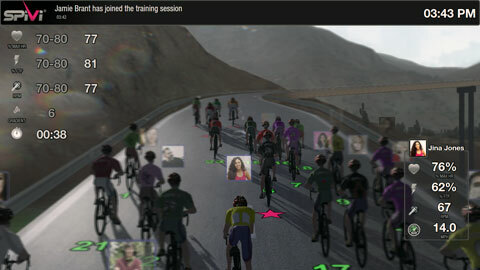 Create share and use indoor cycling training programs on the cloud with our Workout Creator. 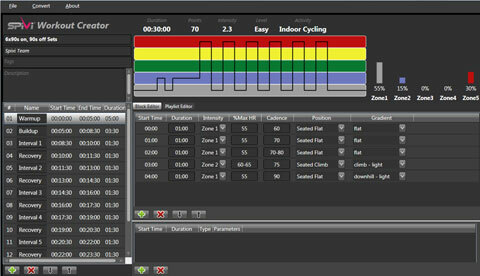 With Spivi® Workout Creatoror (beta) you can create professional indoor cycling programs within a few minutes. 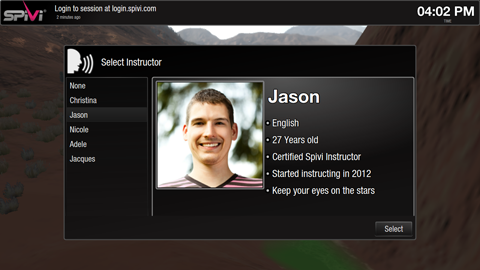 Programs created with Spivi® Workout Creator (beta) can be used at studios equipped with Spivi® Studio and Spivi® 365. 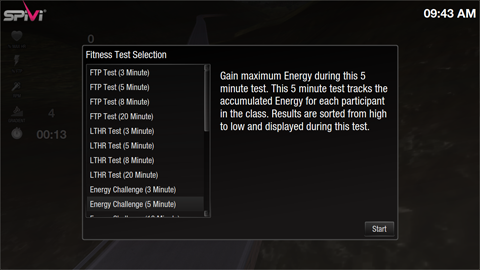 Run virtual classes, scheduled to run automatically when you want and guided by a various of virtual instructors. 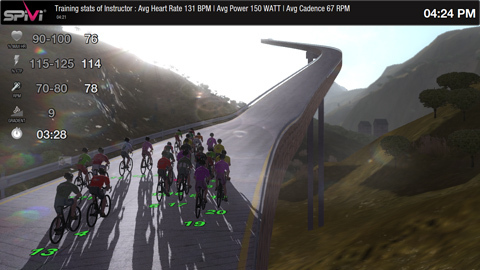 Our virtual instructors instruct your members just like if they were in a class with a real instructor, monitor performance data, analyze it and display a real-time interactive 3D scenery. Plenty of ready to exercise programs are waiting for your members. 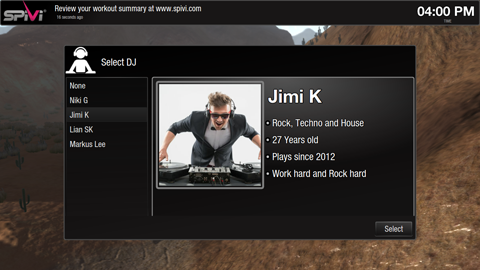 4 different virtual DJs mix and play your music according to your structured workout programs. Because being a DJ is more than just pressing play and because being an instructor is much more than just telling the class what to do, our virtual DJs are your private DJs who follow your real and virtual instructors’ guidelines and mix the music tracks to meet the class goals!